The two most troubling symptoms that plague young children who suffer from ASD are difficulties with communication and cognition. There are many other problems, for sure, such as sensory processing, ADHD, OCDs, repetitive movements and social isolation. But, for parents, those first meaningful words are a sentinel sign of the child’s improvement. In every individual autistic patient, there are one or more hurdles to this set of conditions. To the extent that there are multiple factors, each barrier needs to be addressed in order to assist speech & language. For example, simply the age of the child may preclude conditions #1 and #2. This is why, traditionally, pediatricians and other professionals have advised caution and patience towards children exhibiting a delay in this milestone. In most instances, infants say one or two meaningful words by their first birthday, and continue to acquire words throughout the next year. Occasionally, in my practice, there are Dads (especially), or even several generations of males who spoke ‘late’ (even 3 or 4 years), according to the history. 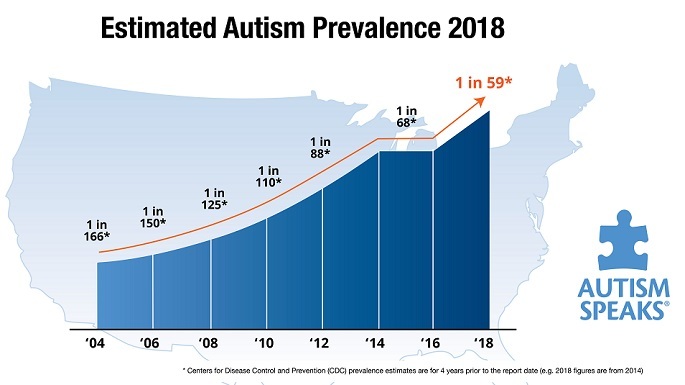 Since we live in the era that shall be known as of The Autism Epidemic of Two Thousand, such a family history should not provide comfort, but rather it should raise a red flag that offspring may be susceptible to ASD. 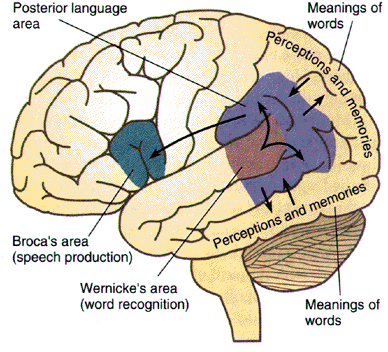 And, for ANY patient, the loss of words can be a significant harbinger of other developmental problems. When parents notice that their child is not achieving (or losing) the ‘words’ milestone, a medical evaluation should be initiated in which a doctor thoroughly examines, documents and treats both the currently accepted signs and symptoms of ASD, plus the other co-morbid conditions as well. The second year of life is THE CRITICAL EARLIEST PERIOD when the diagnosis of autism can be best ascertained. As opposed to the current, “Let’s wait and see until he/she’s three” attitude, the earliest signs of hypotonia and not imitating or using speech should trigger S&L and other indicated interventions. In my estimation, pediatricians and neurologists who offer PDD-NOS or other non-specific classification (such as encephalopathy) appear to be a common factor, often delaying correct diagnosis, confusing parents and putting off treatment. Importantly, at The Child Development Center and other alternative medical practices, we have found that, by making an early, precise diagnosis, then combining the traditional therapies (OT, PT, S&L, ABA) along with properly addressing cellular energy, inflammation and gut health, apraxia in young children can be significantly improved. Possible over-treatment is not an expensive precaution, or risky. At best, a disaster may be prevented. At worst, Primum non nocere. There is another, more descriptive story about apraxia here. This entry was posted on Sunday, July 1st, 2012 at 3:58 am	and is filed under >ALL<, Alternative and Complementary Medicine for ASD, Earliest Red Flags, Patient experiences, Reversing autism. You can follow any responses to this entry through the RSS 2.0 feed. You can leave a response, or trackback from your own site. Our daughter’s former (key word here is former) pediatrician never said anything to us. My daughter started talking at about a year and a half and just a bit after that everything stopped. We attributed it to jealousy due to the arrival of little brother. The doctor just smiled at us when we mentioned why we thought she had stopped talking. Some time after she turned two, she suggested we saw a neurologist “just in case” but we never really found out just in case of what. Even though we started seeing you shortly after (she was a month shy of her 3rd Birthday) we always resented the fact that she could have told us something, hinted at least, so we could have intervened sooner. Maybe some of the doctors who have supplied such advice are reading this? Probably not. Certainly if they are reading their ‘regular’ literature, there won’t be much change. First, do no harm, from The Hippocratic Oath, which includes the promise "to abstain from doing harm"